To assist this process of development for the engineering systems design research community, the organizers of DESIGN are proposing core areas for the conference as described below. It is required explicitly from all contributors to show how they are contributing to the emerged communities of researchers within these areas. Engineering design research has a long history of research activities associated with it. However the establishment of credible convincing and well supported new theories and innovative research approaches is a continuing task. 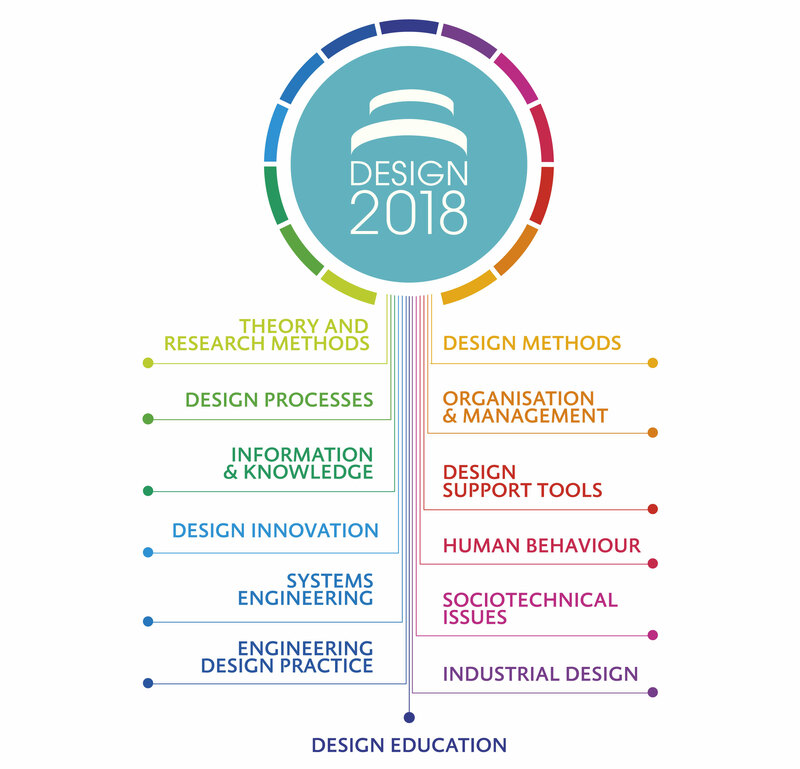 Undertaking design research is difficult because of the amount of issues associated with design, evaluating models and methods by ‘experiments’ with industrial collaborators, generating large enough data sets or validating results in quite different design situations. Papers which have a valid basis and promote to the community undertaking design research will be of particular interest in this core area. A critical factor in the effectiveness of designers and design teams is the way that they are organized and managed. This core area will deal with strategies, methods and tools to support innovation in everyday design work with its manifold relations to internal partners as well as to suppliers and customers. This may include such topics as collaborative working, meeting strategies, virtual organizations, distributed teams, the supplier/designer interface, idea generation and evaluation. Again the state of the art is critical and may come from outside the engineering design research field. The provision of the appropriate amounts of high quality and relevant design information and knowledge is seen as being critical to the success of a product or system design and development activity. Papers submitted to this core area may take a technical or human view of the issues. They may deal with such areas as search strategies, information or knowledge reuse, representation methods, organisational learning and so on. Examples of information and knowledge strategies that have been evaluated in practice, with a reflection of the difficulties are of particular interest. There are various views on the overall design process and there are a wide variety of product-, company- or branch specific approaches to structure and to support design processes. Papers submitted for this core area may deal with any of these aspects and related topics. In particular examples of new process developments and process improvement strategies will be of particular interest. Authors will be expected to show how their results add to various design process improvement approaches. Examples of the impact of their new approaches or new implementation tactics would be highly relevant. The provision of innovative support tools within the engineering design process is essential for the effective delivery of high quality products and systems. Papers submitted for this core area may be associated with tools for any design related activity and for any phase of the design process. Papers will be expected to show why the particular tools are necessary or why the particular approach being introduced is novel. Papers which include examples of use or application case studies are particularly welcome. Creative, holistic, multidisciplinary studies of design and interplay of design and innovation that turns technological inventions into welfare will be considered in this topic. Innovation and design as integral part of product development are of primary concern of the competitive companies and society. We are particularly keen on contributions focused on relationships between design, innovation, science and technology. The human aspect of design is crucial and arguably has two aspects, one being the role that the designer has in producing products and systems that relate to the users themselves. The other is the way that the designer can be supported to be more creative and innovative. As well as other research in the engineering design area, any cross-reference to human-computer interface work or other human aspect work would be of interest. Papers that deal with any of these human dimensions will be welcome. The papers addressing multidisciplinary aspects of design, systematically discussing methods and tools relevant for both Industrial and Engineering designers will be welcomed under this topic. Papers selected for this core area will be expected to include a novel design approach or method or an example and assessment of how a method or methods have been implemented in practice. The papers will be expected to relate to the state of the art in the area and show how their approach has contributed to the overall effectiveness of the design process. This topic is to provide articles of practical relevance to the working engineer. Programme chairs will welcome papers demonstrating engineering competence, experience and usefulness in manufacturing, assembly, use, recycling and sustainability. We are particularly keen on contributions that may indicate transfer of everyday design methods to research community. We are interested to receive the papers that relate systems engineering with engineering design methodology. Contributions considering similarities and differences among two approaches, considering processes, methods, tools, and education should help community to better understand life cycle, business and technical needs of the engineering design process and products integration in the complex systems engineering process. Technology has a profound influence on society. New possibilities and new risks arise as a consequence of the implementation of new technologies and products. Decisions made during design processes shape the possibilities and risks of products. Contributions in this topic should address engineering values and ethics, social sustainability, explore and define the research agenda of interdisciplinary collaboration. Designed by Excedo • Developed by AMagdic Web Design • Copyright © 2019 CADLab. All rights reserved.